Little mentioned feature of the iPhone – It’s a great WiFi detector. 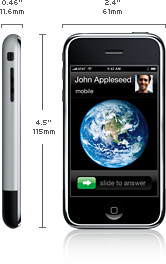 Why you’ve got the unlimited data plan with your iPhone. Admittedly, I’ve been using EDGE a lot this past week. Still, wow. I’m on vacation this week with La in Rehoboth Beach, Delaware and I’ve discovered that my iPhone is a magnet for young Europeans working overseas for the summer. They all wanted to know one thing: Did I think that buying it was a good idea? Sadly, I had to tell them that, for their particular situation (the not-staying-in-the-US situation), buying the iPhone in the US was not the best idea at this time due to AT&T locking the iPhone. They wouldn’t be able to swap the SIM card when they got home, so they’d be stuck. I advised them all to wait a little while, either for the iPhone to become available in Europe, or for AT&T (or a third party) to unlock the iPhone to use other SIMs. They also generally wanted to know how well it worked, and there I was able to oblige with a demo. Only time I’ve ever seen one of these…. 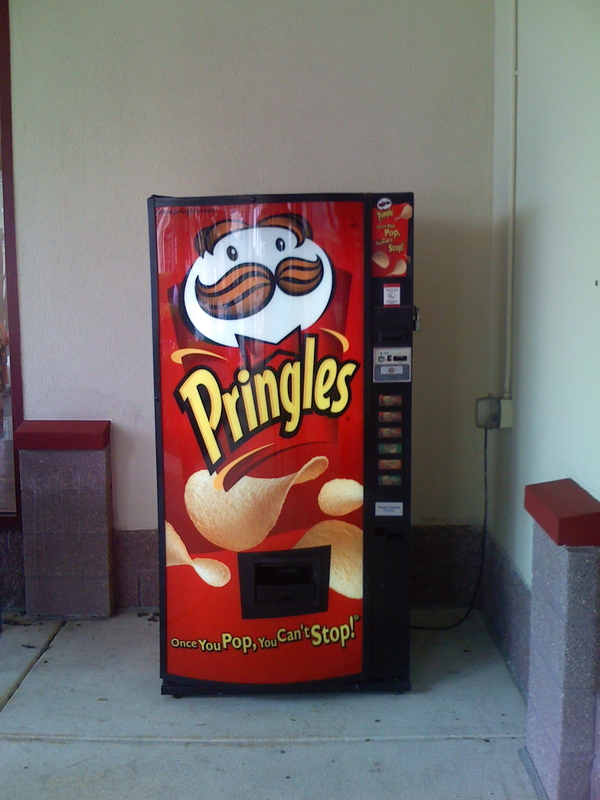 Yup, it’s a Pringles vending machine. I’ve never seen another one, anywhere else in my travels throughout the United States and Europe.